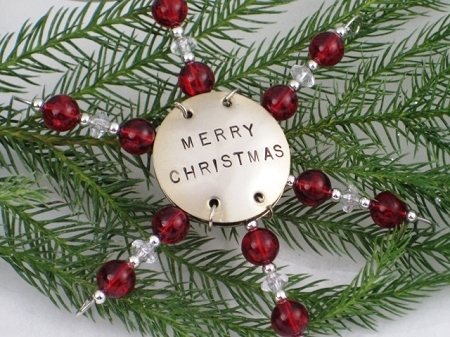 Home > Ornaments > CUSTOM ORNAMENT - Choose your design! Choose your color! Choose what you want the front of your ornament to say! Choose what you want the back of your ornament to say! Have a special occassion coming up? Need a super special gift or a great way to celebrate? Now you can design your own CUSTOM ORNAMENT! 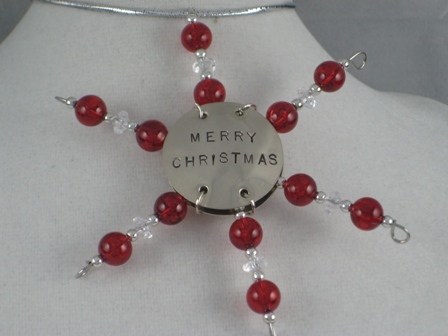 Every ORNAMENT comes with a silver stretch bow attached making it ready to hang from anywhere! Pick one up to celebrate any special occasion or add one to a gift, a bouquet of flowers, a bottle of wine or a potted plant for a unique, personal gift. It looks great hanging on the wall or on the front door. Makes a great hostess gift! Choose your main bead color. Please contact me if you have questions! Quantity discount price chart shown on information screen is the discount price for multiple custom orders of the same design. Custom orders take extra time to complete. Small (1 - 3 items) custom orders will ship within 5 - 6 days. Larger custom orders may take up to 3 weeks to ship. First Class Mail usually takes about 3 days to arrive to any United States destination. Your item will ship from The Run Home within 1 - 2 business days. First Class Mail usually takes about 3 - 5 days to arrive to any United States destination. If you need your item faster, please choose USPS Priority or USPS Express Shipping at checkout. Pricing for USPS Priority and Express Shipping is calculated at checkout. Hi! I just received a custom snowflake ornament for an engagement gift that had my name and my future husband's name stamped on the front and our wedding date stamped on the back. Really special. Dave and I will always treasure it. Thank you.